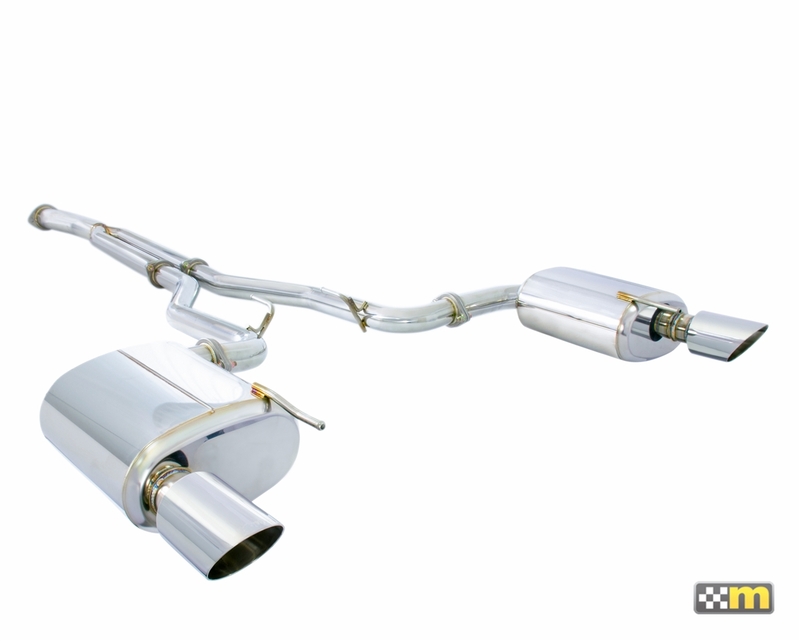 mountune Cat Back Sport Exhaust System - Mustang EcoBoost 2015-2017. This cat-back exhaust system with integral Y-pipe bolts directly to the stock factory catalytic converters, keeping your Mustang 100% emission compliant while providing an aggressive muscle car sound. 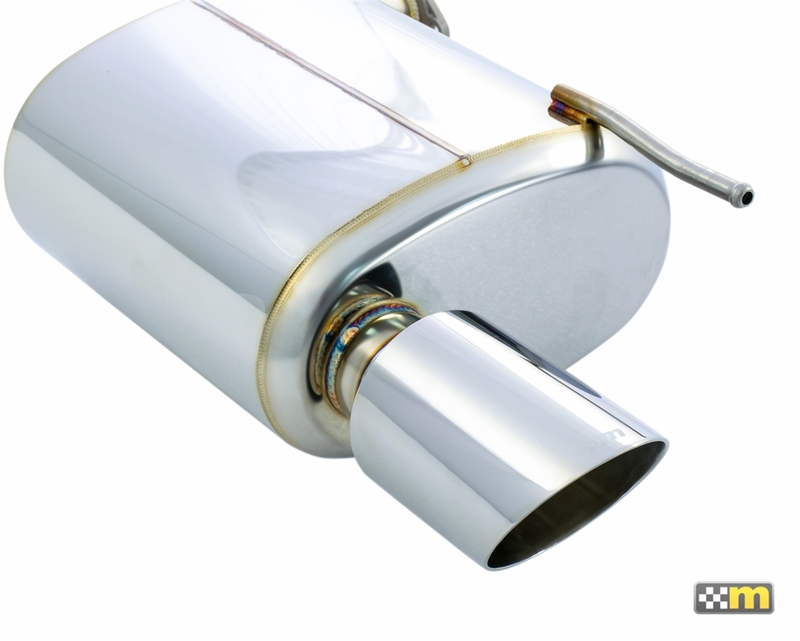 The tuned stainless steel mufflers with 4" chrome-plated stainless steel tips not only sound great but look great too. 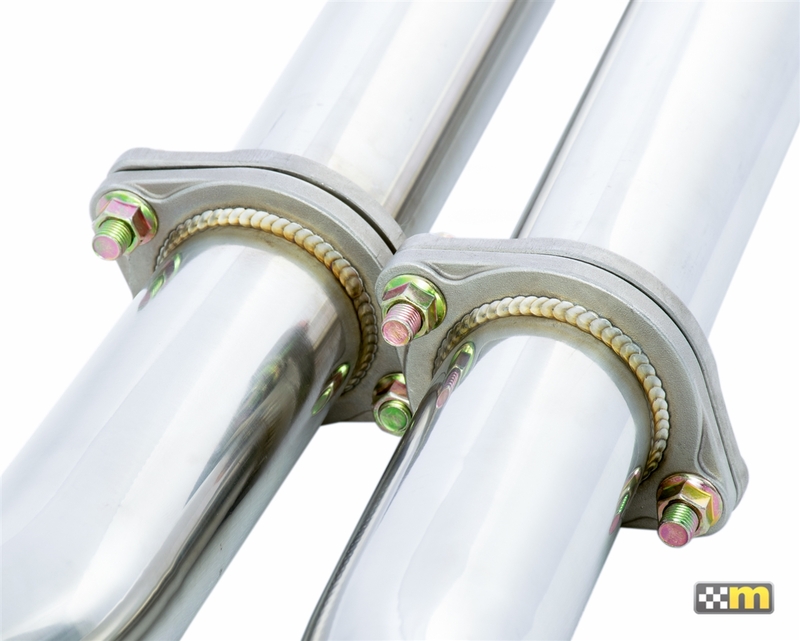 Produced from 16 gauge T304 stainless steel for maximum durability. Fits 2015-2017 Mustang 2.3L EcoBoost. Produced exclusvily by Remark USA.